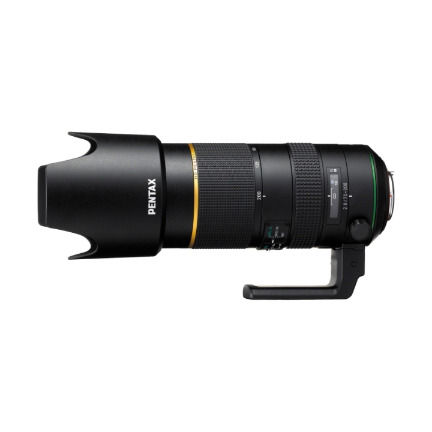 This telephoto zoom lens has been developed as a new model of the PENTAX Star (*) series, which boasts the highest image quality of all PENTAX interchangeable lenses by compensating various aberrations to a minimum. 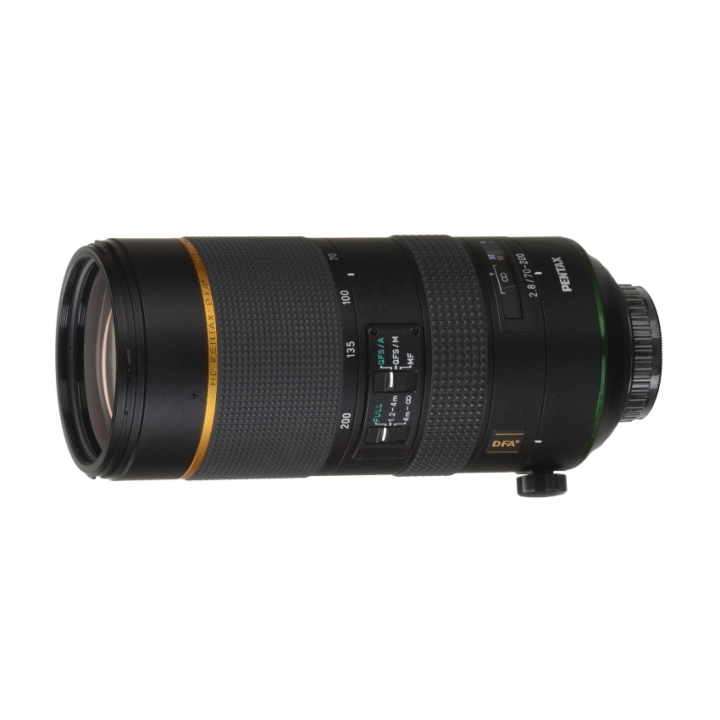 Thanks to its large-aperture design, it provides a large maximum aperture of F2.8 at all focal lengths from 70mm to 200mm. Coupled with other PENTAX-original lens-coating technologies - such as the newly developed Aero Bright Coating II assuring exceptionally low reflectance, and the high-grade HD Coating - it produces extra-sharp, high-contrast images free of flare and ghost images, even under demanding lighting conditions such as in backlight. 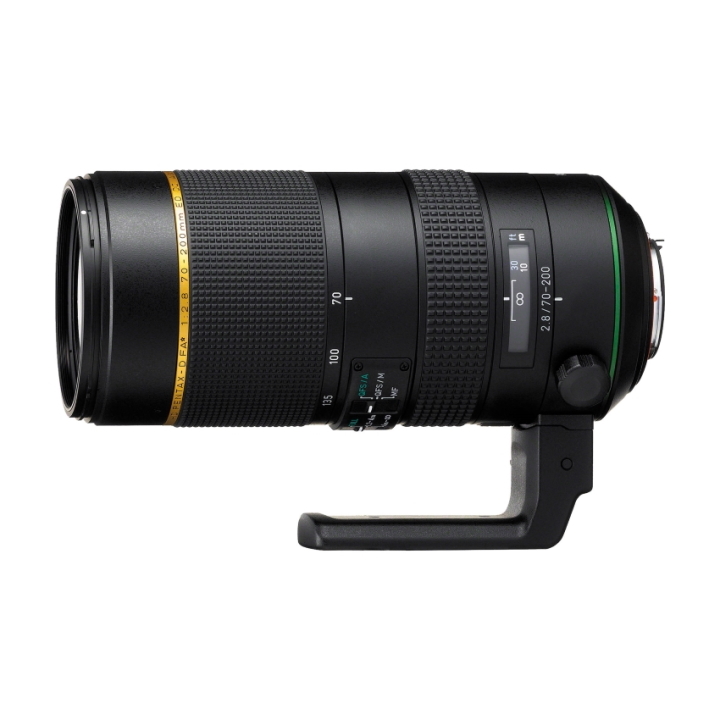 In addition to four super-low dispersion glass elements and two ED (Extra-low Dispersion) glass elements, its optics includes a pair of new Super ED glass elements to effectively compensate chromatic aberration over the entire zoom range and deliver crisp, high-resolution images with edge-to-edge sharpness. Its dustproof, weather-resistant body also makes it extremely dependable and durable in demanding outdoor conditions. This zoom lens is treated with the newly developed Aero Bright Coating II - a lens-coating nanotechnology that employs a super-low refractive film fabrication process to assure light reflectance lower than that of the conventional Aero Bright Coating. * By coupling this advanced lens coating with the high-grade, multi-layer HD Coating** that reduces an average reflectance in a visible ray spectrum to less than 50% of conventional multi-layer coatings, this lens effectively reduces flare and ghost images to a minimum even under demanding lighting conditions such as backlight. 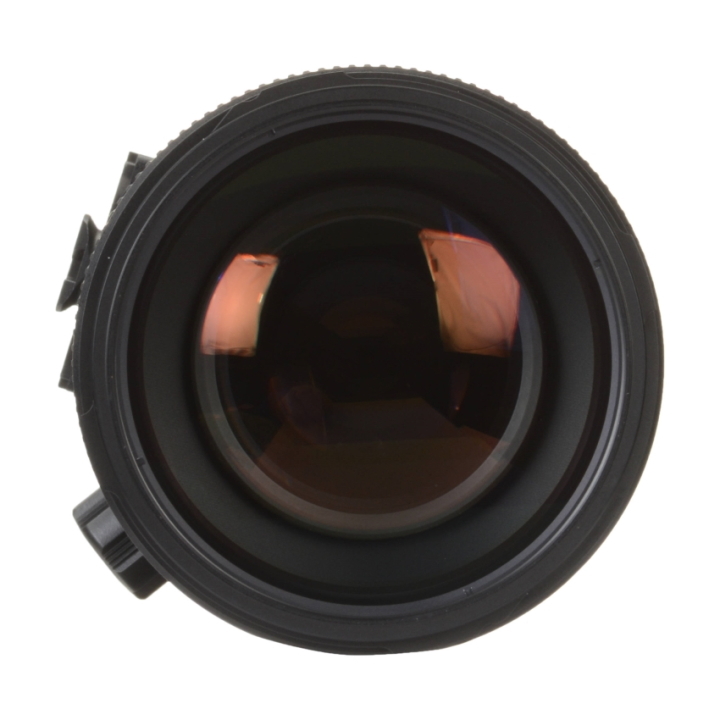 In its optics, it also features four super-low dispersion glass elements, two ED (Extra-low Dispersion) glass elements, and two Super ED glass elements, which have optical properties similar to fluorite and assure lower light dispersion and more effective compensation of chromatic aberration. As the result, this lens produces brilliant, high-contrast images with edge-to-edge sharpness, while effectively compensating chromatic aberration over the entire zoom range.